John Dragat, our Senior Vice President of Development, passed away on Dec. 20, 2017, from a brain tumor diagnosed a year before. His loving family was at his side. We are all deeply saddened by his loss. At Benchmark, we remember how John touched us with his sparkling personality, intellect, humility and the deep and lasting contributions he made to our personal and professional lives and our company. When we were a much smaller company, we outsourced property development and hired Northland Investment Corporation to develop three of our early communities. And so began our relationship with Northland’s John Dragat. The first residents moved into one of John’s visionary projects, The Branches of North Attleboro, on Nov. 15, just a month before he passed away. John went on to build Benchmark’s development team and was at the center of the design of our communities. He was a key designer and champion of The Branches model, the first of which opened in November 2017 in North Attleboro. Senior Vice President of Capital Sarah Laffey co-led the Investments Group with John for six years. “John was a great teacher and mentor to those who were privileged to work for him,” says Sarah. “I wouldn’t be in my position today without his guidance and wisdom." John adored his wife, Pia, and their three daughters, Giuliana, Marielle and Carissa. When his oldest, Giuliana, left for college in Scotland, John was teary-eyed. When he visited her, they played golf every day on lovely Scottish courses. “He raved about that trip,” says Sarah. Sailing Vado Pazzo III was one of John’s passions. John with his wife, Pia, at the 2016 Benchmark holiday party. Golf partners, Giuliana and John. 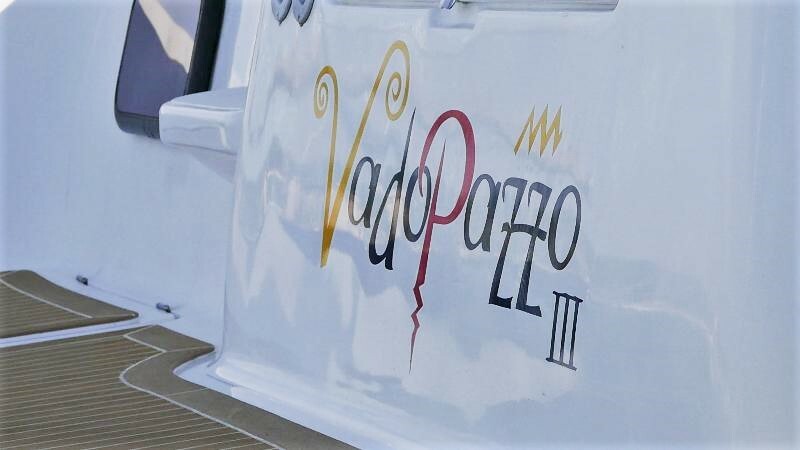 A passionate sailor, John was captain of the Vado Pazzo III, which means, “going crazy” in Italian, and so named because he and Pia decided, with joyous abandon, to buy a sailboat and learn to sail. At the helm of big and sometimes rough development projects, John had a great calm about him. “He believed that patience was key to being a successful developer,” says Director of Development Eric Gardner. From left, Charlie Wu of BayNorth Capital, Senior Director of Development Ken Littlefield, Matt Devine of BayNorth Capital and John at the 2014 Benchmark Awards Gala.